The P-series Mitsubishi Mr Slim ductless air conditioners (also known as ductless mini-splits) are perfect for use in larger residential and light commercial applications. Whisper-quiet and extremely reliable, these systems go where ductwork can't - Computer and phone rooms, room additions, music studios, churches, and restaurants, to name just a few. For many years ductless heating and air conditioning systems have been the quiet solution for cooling and heating problems around the world. The popular, proven and industry best selling Mitsubishi Mr. Slim ductless air conditioning systems have two basic components: an easily installed indoor and outdoor unit. The indoor wall mounted unit delivers enough cold air to make any space more comfortable and simply mounts on the included wall bracket and connects to the outdoor section through a small 3-inch opening in the exterior wall. (To run lines for refrigerant and to drain the condensate). The Mitsubishi Mr Slim light commercial P-Series fills larger spaces with substantial cooling from a compact, wall-mounted package. Walk into any room and all you'll notice is the perfectly comfortable climate. What you may not notice is the system itself, for it mounts high on the wall and blends nicely into the space. The Auto Flap Shutter closes to cover the air outlet for a clean presentation when not in use. During operation the vane can be adjusted or will automatically adjust itself to the perfect position to direct airflow horizontally in cooling mode. The slim, lightweight indoor unit design measures only about 66" wide, 13" tall", 9" deep and weighs only 66 pounds for the very largest model. This allows for easy installation high on any wall and above windows and doorways. In most cases just 2 people can do the installation quickly. We all know what air conditioners can cost to operate but forget everything you know and consider the dime: That's right the dime. Because as little a 10 cents will get you one hour of comfort with this new Mitsubishi Ductless Split System. 100 hours Of Cooling Comfort For As Little As $10.00. That's just .10 cents per hour. That means the energy required to provide the comfort your home or commercial application requires is more affordable than ever. Imagine never having to worry about high power bills again; just dial in a comfortable setting and walk away. In fact, with SEER ratings of 13.0, the light commercial Mitsubishi Mr. Slim ductless air conditioner is one of most efficient and cost-effective systems you can buy. Mitsubishi engineers designed these systems to provide peace of mind from both a comfort and energy standpoint. *Operating cost estimates based on a nationwide average of .08 cents per KW of energy usage. Your actual costs may vary. By controlling compressor rotation speed precisely, the innovative Inverter Technology offers exceptional performance and reduced energy consumption for maximum savings and comfort. Mitsubishi Electric is the undisputed industry leader in ductless air conditioning and heating technology. The versatility and variety of applications is virtually unlimited. Perhaps you have an older home or business that was built before ducted air conditioning became available and you desire the comfort and humidity control provided by air conditioning and heating. The Mr. Slim is the perfect answer for spot cooling and heating uncomfortable hot or cool rooms without the expense associated with a traditional centrally ducted system. Proven performance, long-term reliability and ease of installation make the Mr. Slim P-Series by Mitsubishi the smart and cost effective choice. Mitsubishi is world-renowned for the quality and durability of their ductless split systems. In fact, we have never encountered a more dependable heating and air conditioning system, period. Our warranty experience with these systems is outstanding and second to none. Our customers are ecstatic with both the quality and performance of their Mitsubishi ductless air conditioner system, each and every time. The Mitsubishi Mr. 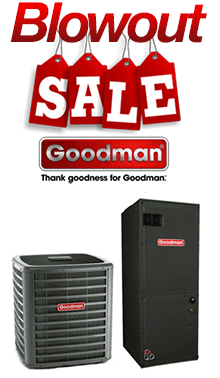 Slim is designed to be one of the most reliable air conditioners you can buy. In fact, every major component is designed and manufactured by Mitsubishi so the system provides highly reliable operation that is only possible when all components are purpose-designed and built to work in harmony. The air conditioning and heating industry experiences an average failure rate in the United States of about 4%, or about 4 system failures for every 100 units built. The Mitsubishi Mr. Slim enjoys a failure rate that is only one-eighth of the industry average, or one-half of 1%. This means that Mitsubishi will need to produce about 800 systems to experience the same 4 failures. That's quality the way it should be. You may find a system that is slightly less expensive upfront, but nobody beats Mitsubishi's total overall cost benefit that comes from rugged durability, parts availability, and ease of installation. Mr. Slim ductless systems need no ductwork. This means easy installation and less mess. With minimal on-site work, ducting can be installed to bring in fresh outside air, creating a healthier indoor environment. Mr. Slim includes a wireless control center that offers complete control and easy to use functions that don't require an advanced degree to operate. These functions include a two-speed fan operation, Cool and Dry operating modes and a programmable 24-hour timer for convenient, customized cooling on/off periods. The self-diagnostic LCD display quickly detects malfunctions and even pinpoints the location. The angle of the air outlet vanes can be adjusted to one of four positions with the push of a button. All P-Series outdoor units are designed with easy service and maintenance in mind. Service points are located behind easy-access panels to make installation easier for your service technician. Four-way piping access allows connection in four directions: front, rear, right, and base. All P-series indoor units feature a washable filter design without filter replacement headaches. The washable filter provides about 2500 hours of use in a normal office environment before cleaning is needed. Where is the Use of These Systems Most Beneficial? Spaces where ductwork is prohibitive. These include guest houses, music studios, porch or garage apartments, computer and telephone rooms, small offices, garage apartments, attic enclosures, small rental efficiencies, churches, restaurants, and small two or three room homes. For smaller residential or light commercial applications see the Mitsubishi M-series. Use our handy ductless sizing calculator located here. This calculator will provide an estimate as to the size needed for your application. If you are still unsure, have a local contractor visit your jobsite for a thorough analysis of your needs. For residential homes that are well insulated about 15-20 Btu's per square foot is sufficient. For the top floor in a multi-story home about 25-30 Btu's per square foot is required. Standard office spaces with an average number of occupants and office equipment will require around 35-40 Btu's per square foot. If there are no outside exposed exterior walls this can be reduced by about 20%. Order yours today. You'll be glad you did. Extra Energy Savings: Energy consumption is automatically lowered when less capacity is required, reducing operating costs by up to 50% when compared to non-inverter models. Optimum Year Round Comfort: To ensure that a room is never too hot or too cold, advanced inverter technology allows the system to detect subtle fluctuations in room temperature and adjusts compressor rotation speed automatically. Unlike conventional air conditioning systems that stop and start repetitively, the Mitsubishi Mr. Slim Inverter Technology allows more precise temperature control and far less temperature variations. Existing homesâ€“ The comfort of central air conditioning without the fuss and mess of duct work. No unsightly duct chases or exposed duct work. Installation is greatly simplified and the integrity of your home is maintained. Improve comfort in select areas of your home on a room-by-room basis. Cool and dehumidify only those areas you desire. Mitsubishi Electric delivers flexible and convenient cooling solutions to almost any commercial, institutional or large residential application. Choose from small, quiet indoor and outdoor units that operate with the increased efficiency you need. Whether in a church, office building, school, nursing home, restaurant, retail store, or equipment room, the compact design of the indoor units make cooling and dehumidifying difficult spaces a breeze. With wall-mounted, ceiling-recessed, ceiling -suspended and horizontal ducted options, capacities of up to 42,000 Btu's of cooling performance and available Hyper-Heating INVERTER P-Series technology that provides 100 percent heating capacity down to 5 degrees F, Mitsubishi Electric systems have the perfect solution for almost any building. Located in the outdoor unit, INVERTER-driven compressor systems detect subtle changes in temperature and, like a car's cruise control, automatically adjust compressor speed unlike conventional units, which start and stop repetitively. Special components within the compressor increase the magnetic flux and reduce its weight, allowing the compressor to generate higher energy efficiencies with higher performance than ever at low levels of sounds during start-up and running. Convenient and efficient zone control means you can cool only the spaces in use. You can even have single or dual controllers connected to one system. The controller does not even have to be in the space shared with the indoor unit. Features of the controller include a weekly timer, temperature range limiting, auto-off, expanded fault codes, and service call number display. In 2009 Mitsubishi Electric was given the GREEN PRODUCT award by the industry-leading publication, Building Products Magazine . They were one of only 16 products to receive this award for energy efficiency, resource efficiency, and health and comfort. We'll ship the equipment at wholesale prices and you select the qualified contractor of your choice to install it. Learn more about how commercial ductless air conditioners work in the AC4Life information center. Plus: " Econo Cool" mode, 1 degree F step temperature setting, self-diagnostic function, swing mode (up and down), auto-restart, and dry mode. Wall mountedâ€“ Easily installed above windows or doorways. Can be installed in about half a day. Requires only a 3â€ hole in the wall or ceiling, so they can be installed in some of the toughest spaces, even on brick or masonry walls. Fully adjustable airflow, keeping room temperatures even throughout the space. Ceiling Recessed (Cassette) - When installed, the flush-mounted grille is all you see. With its fresh air intake capability and four-way discharge airflow, the PL series ceiling cassette gives you plenty of fresh, comfortable air. Built-in condensate removal pump is included. You'll need about a foot of area above the ceiling.